B) P.marginatus infested an immature papaya fruit. C) P.marginatus infested an matured papaya fruit. Table-07: Effect of different some biopesticides on the mortality of nymphs and adults of P. marginatus attacking papaya fruits. 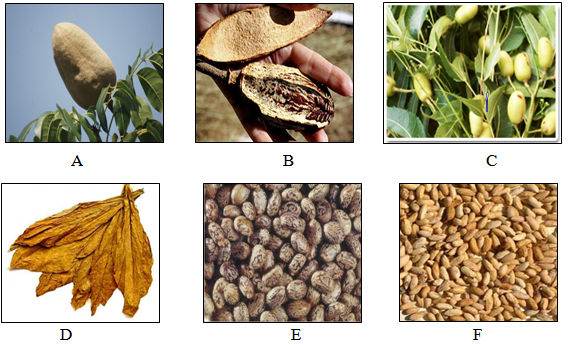 The highest mortality of P. marginatus(93.43%) was observed in tobacco medicine(100%) concentration and lowest (68.37%) in 20% dried tobacco leaf extract followed by 90.11%, 80%, 78.92% in Neem seed oil, Mehgoni seed oil and castor seed oil respectively. This observation was based on single papaya leaf and fruit. All papaya leaves under observation were fresh and greenish in colour. Mealybug control often involves control of attendant ants that are important for the proper development of the mealybugs. Without the ants, mealybug population is small and slow to invade new areas and the field would be free of severe mealybug infestation. Therefore, management of mealybugs often includes the control of ant species. For management of mealybugs, it is important to know the species present as management programmes for the various mealybugs may differ, plant protection products are of limited effectiveness against mealybugs because of the presence of waxy covering of its body. Management strategies P. marginatus usually involves the following approaches. The strategies given below are based on previous findings and own observations. i) Monitoring and scouting are needed to detect early presence of the mealybug. ii) Pruning of infested branches and burning them. iii) Removal and burning of crop residues. iv) Removal of weeds/alternative host plants like papaya, hibiscus, parthenium etc. in and nearby crops. v) Avoiding the dispersal of planting material from infested areas to other areas. vi) Avoiding irrigation upto the top levels of the lands. vii) Prevention of the dispersal of ants and destruction of already existing ant colonies. viii) After pruning, the cuttings of infested shrubs or trees lying around should be immediately burnt. ix) Shaking of the infested material is prohibited. x) Proper phytosanitation of plating material, harvested produce etc, before moving to other states is necessary. xi) Intensive regular survey should be made to find out efficient parasitoids/ predators/ pathogens of the P. marginatus, if occurs any. xii) Chemical insecticide spraying restriction unless mealybug infestation is confirmed. 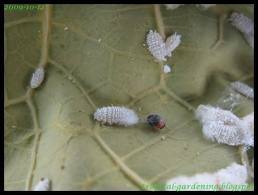 Unnecessary spraying may destroy natural enemies which keep mealybug population under control. xiii) Sterilization of farm equipments to be performed before using them to the uninfested crops.